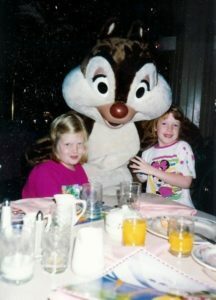 Recently, while discussing the upcoming trip to Walt Disney World that we’re planning for next Fall, my sister and I got to talking about our favorite moments from all the family trips we’ve taken. Pretty soon the stories evolved to our funniest or most embarrassing memories. Here are a few of my own personal memories, as well as a few from my Divas who wanted to get in on the fun too. My first story is from our first trip to Walt Disney World was in 1994, when I was 9 and my sister was 7. Back then, the Teenage Mutant Ninja Turtles (TMNT) was one of my favorite TV shows. When visiting Hollywood Studios (it was called MGM Studios at that time), I was excited to see the TMNT stage show because I was a huge fan. While we were waiting for the show to start, my parents grabbed us some popcorn and a couple of bottled drinks. Pretty soon the TMNT started to make their way towards the stage and on the way were interacting with the crowd. One of them grabbed my sister’s drink (which still had the lid on it) and pretended to drink it before moving on. My sister absolutely fell apart and refused to drink from that bottle again because it had “turtle cooties” on it. We still occasionally kid her about that, although she had gotten much better about sharing. My second story also takes place during this same trip and also involves my sister. We were at the Magic Kingdom meeting King John from Robin Hood. I wanted his autograph, but he wouldn’t give it unless I kissed his ring. Being a stubborn kid who didn’t do what she was told most of the time anyway, I refused. I think in the end my Dad ended up kissing King John’s ring so I could get his autograph, but that isn’t the part of the story I remember. It was late May or early June and anyone who has visited then knows how hot Florida can be. We had walked away from the meet-and-greet but were still close by. My father was holding my sister and she started saying she didn’t feel well. Right as Dad put her down, she threw up all over the place, narrowly missing King John. At the time, I remember thinking that it served him right for being mean to me, but knowing what I know now, I feel quite bad for him having such a close call. This memory is embarrassing for my husband. We met in Disney World at the end of a 2 year deployment (yes, 2 years!). When he left our girls were 3 yrs and 5 mos. 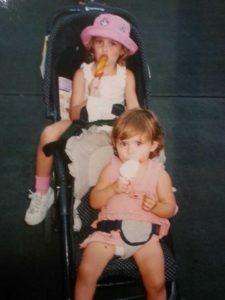 When we vacationed they were 5 and 2 yrs. To him they seemed so grown! At the end of Fantasmic he let our 5 yr old go into the restroom on her own, reminding her to read the signs and come back out where it said exit. Well, there are two exits! She walked out the wrong door, couldn’t find him. She walked straight to the gift kiosk where she was fairy dusted with over $100 in merchandise. My husband panicked and stormed into the restroom, SWAT style. He seriously started pushing doors in while calling for her. A cast member ran in asking if he was missing a blond haired, blue eyed little girl. By the time they got to me she was a mix of tears and light up toys. My super dark Italian husband was white as Donald Duck’s feathers- embarrassed, humiliated and terrified all at the same time! My poor daughter was confined to the stroller (out of fear) for the rest of the trip. 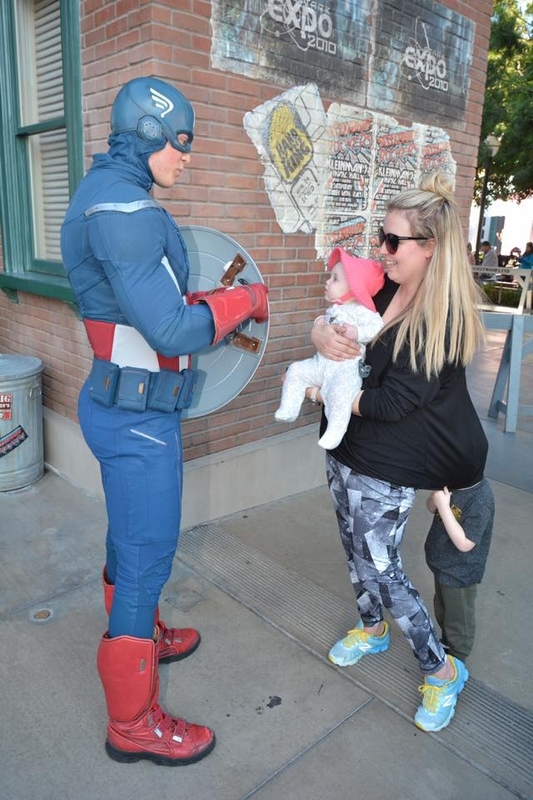 It was our grandson’s first visit to Disneyland, and he was anxious to meet some superheroes. We got in line to meet Captain America, and while we waited, my grandson was watching guests talk to Captain America with all the wonder that can only be found in a 3-year-old boy’s eyes. He was beaming with excitement. When it was finally our turn, though, it was just a little too much for him. 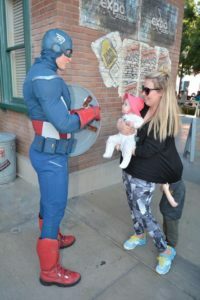 While my daughter chatted pleasantly with Captain America, he was star-struck. He stood, completely still and silent, hiding behind my daughter with his head under her sweater. Captain America never missed a beat. Although he could clearly see what my grandson was doing, he just continued to chat nonchalantly, acting, as any polite superhero would, like nothing unusual was happening. The uproarious laughter from the other guests in line, though, could hardly be ignored and soon a small crowd had formed. He had stolen the show. At the time he couldn’t see any of it from under his Mom’s sweater, but today he loves to laugh at the photos. It was a Disney moment that will forever be a treasured family memory. 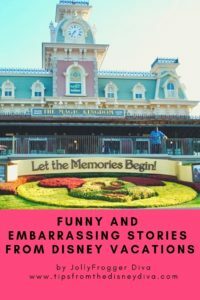 In the end, although they might be a bit embarrassing, the funny stories like the ones above are my favorite vacation memories. 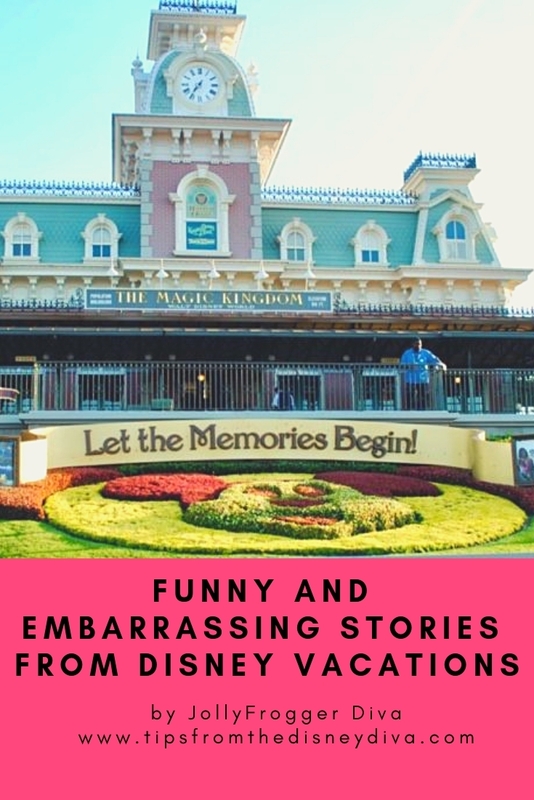 It’s fun to reminisce and laugh at ourselves, as well as wonder what sort of funny and embarrassing stories our kids will tell someday when they’re looking back on our family vacations. 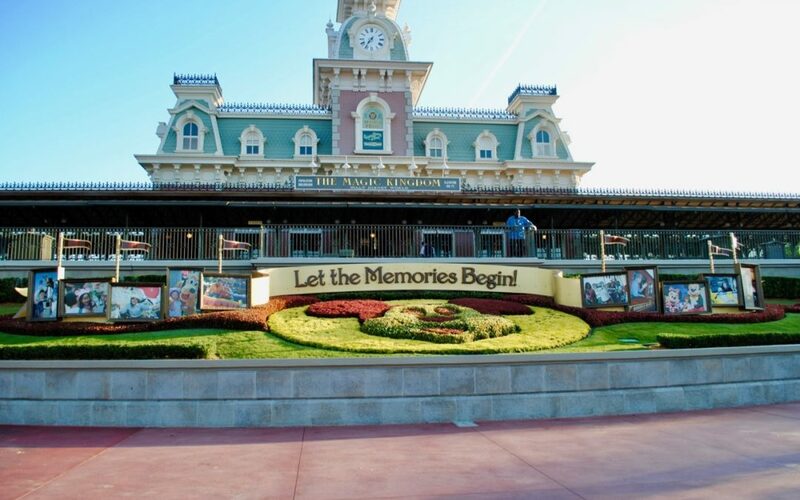 If you’d like a chance to create memories of your own with a Disney vacation, contact Patricia at All for Dreams Travel for a free quote. 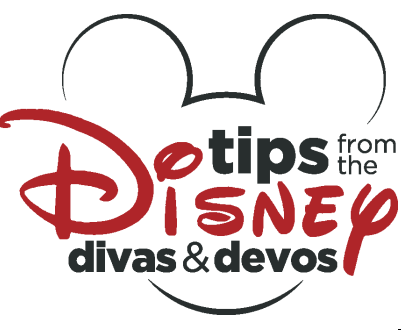 You Mean My Kids Disney Vacations Can Be Excused Educational Trips? I am a born and raised Disney fan helping share my love of Disney with my wonderful husband, beautiful daughter, and anyone else who will listen to my stories.